I will admit, I was not entirely unbiased towards this game to start with. During some previous perusing of the X-Box Live Arcade I had stumbled upon the original Toy Soldiers and had thought “what the hell, it can’t hurt, I’ll give it a go”. Well I can tell you right now, I almost wish it had hurt. At least then the pain would have distracted me from the boredom with which I was rewarded. So I am ashamed to say, I quit the game and give it no further thought. The gameplay is a mix between a tower defense and fps: with turret placement; first person controls of the turrets; control of battery powered vehicles; and bonuses like air strikes, commandos and artillery bombardments. Now this may sound like an amusing array of abilities, especially with the copious amounts of enemies you are given to pick off – and I will say, it is highly entertaining to blow-up, gas, mortar and pretty much bomb the hell out of the unending stream of enemy toys. Well, it’s highly entertaining for about ten minutes, that is until you realise how painfully limited it really is. The first problem is that you are given set spots to build on, this being common enough in tower defense games isn’t a problem in itself, except that you only have about five spaces to build on and almost no upgrades to pimp up your already limited towers with. This instantly lowers the potential of the game. As soon as you have filled all of your five or so spaces with towers and fully upgraded them all, you are left with absolutely sweet bugger all to spend your money on. So only a little bit into a fifteen minute slog of a level and you have nothing more to do on the turret defense side of things. You then resort to first person control of various turrets because they seem unable to fire anywhere near well enough on their own. 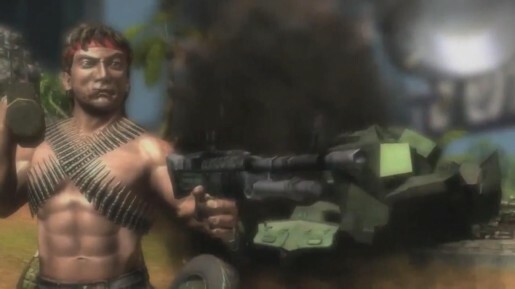 Now there is a combo system in place, which you would think would level the field slightly, so once you get thirty or so consecutive kills, you earn the ability to artillery strike them or take control of the previously mentioned Rambo-esque commando. Now these abilities, I must say, are immensely satisfying and they would almost make up for the limited tower defense in a primarily tower defense game. However the combo system is very poor – with barely enough units in a wave to fill it and a maddening loss of all combos if you try to switch turrets, it means that you only very rarely end up with one. 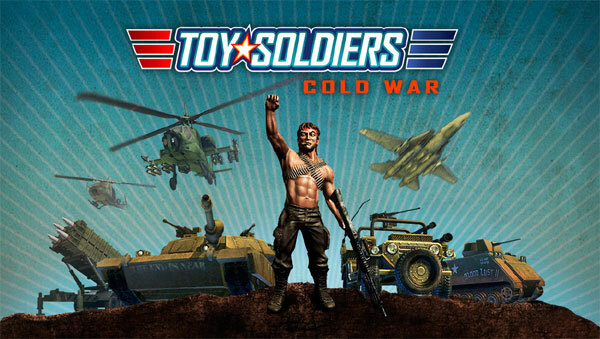 Now don’t get me wrong, there are also some good aspects, as I’ve said before, the style is interesting and original, the humour (or what little of it there is) is well done, and when you finally get some sort of damn rewards for your efforts such as a remote control helicopter or a bombing run, the game does become temporarily fun. Yet these are not enough, not nearly enough to keep the game interesting for any length of time. But none of these problems are why I did not enjoy this game, the simple and honest truth is: I found this game unbelievably, mind numbingly boring. Why put 26 waves to a level if there is nothing to distinguish them from each other at all? Why put a combo system in that is so stupidly frustrating?… But more to the point, why make a tower defense game in which, most of the time you’re not even building towers? To the readers: Of course, you have to remember: opinion on games can vary very much from person to person. For example, while admittedly I haven’t spent as long on Toy Soldiers as Ali, I actually enjoyed playing the game a fair bit. I agree that there is a disappointing lack of variation, there are too many waves in a level and there aren’t enough tower spots. But to counter that I will add that there is something amusingly satisfying about destroying whole hordes of enemy troops with explosives and machine-guns. So while not amazing, I personally would rate this higher than Ali has.